So many women today are concerned about the signs of aging. Wrinkles, lines, sag. None of it sounds good. There are always drastic and expensive procedures to do like surgery, but there are other options. Options those who want to avoid anything drastic and who are concerned with the amount of toxins in skincare products in general. Do you want to find organic products for wrinkles, fine lines, and other signs of aging? Those exist too. Watch out and read your labels! So with this in mind, here is an example of a daily skincare regiment for aging skin, using products from Neal’s Yard Remedies. I will also highlight some key ingredients that help these products work! Because if they don’t work, what’s the point, right? This is always the first step. We have two products here, and I like using one for morning and one for night time. That way I can keep one by my sink and one in the shower. Rejuvenating Frankincense Facial Wash comes in a pump bottle and is going to have a more foamy texture. Frankincense Refining Cleanser is a cream that comes in a tube. It comes with an organic muslin cloth so you can get some exfoliation too! You again have two options here. The Rejuvenating Frankincense Toner is used with a cotton ball or reusable cloth. The Frankincense Hydrating Facial Mist is a spray that is misted on. The advantage to the traditional toner is that the cotton can help cleanse the skin a little more and wipe away any leftover dirt from the skin. But the mist is fun too because it is very cooling and can be easily brought in your purse for a refresher during the day. Want more info on toning? Check out my post on 5 Reasons Why to Use Toner. You have several choices here. It may come down to price or to how much power you want to combat your wrinkles. We have put a lot of technology and research into this area and the products reflect it. These are all the exact same size 1.01 ounces. The bottles vary a tiny bit, but the main difference is the quality of ingredients. These are listen in order of ascending price. Frankincense Facial Oil is a bottle with a little dropper. It’s main ingredients are certified organic oils (macadamia, Baobab, Apricot, Castor, Evening Primrose) and essential oils (mostly certified organic). This was proven in clinical trials to moisture for up 12 hours. Frankincense Intense Concentrate – This comes in a pump bottle. It has a 3-Peptide complex and Gardenia Plant Stem Cells to really help it work. Consumer trials proved that within 30 minutes, it smooths and reduces the appearance of fine lines and wrinkles and boosts the skin’s plumpness, firmness, and tone within 7 days. Frankincense Intense Lift Serum – This is our newest product. It has more technology and more power. It comes in a bottle with a dropper and should be used 2x a day for best results. You can read all about all of the ingredients here on this post, but I’ll just mention two of my favorites. The Lift Serum contains Caviar Lime which has alpha hydroxy acid for a gentle exfoliation of the top layer of skin and it has not one but two different types of Frankincense. Read about some of the consumer trial results below. The next step is to moisturize. The texture of a serum is usually thinner than a moisturizer. There are three options here. They are all the same size and come in a jar. Frankincense Nourishing Cream – you would use this one if you consider yourself as having dry skin. It is clinically proven to hydrate and keep on moisturizing for 24 hours. Frankincense Hydrating Cream – you would use this one if you consider yourself as having normal skin. It is our basic frankincense moisturizer and it is fantastic. It helps revitalize your skin and reduce the appearance of fine lines. Frankincense Intense Cream – If you want to bump up the power and ingredients, use the Frankincense Intense Cream. This has more science behind it and I think of it as a more powerful hydrating cream. It has gardenia plant stem cells and a 3 peptide complex. In an independent consumer trial, 100% said their skin looked younger after using this product. A skincare routine isn’t complete without some special treatments that happen a few times a week. You should exfoliate to remove the dead skin cells at the top of your skin. Of course, the good scrubs and polishes also leave behind smoother, nourished skin. Rehydrating Rose Facial Polish uses wild rose seed powder to gently exfoliate. This product comes in a tube and is perfect to keep in the shower. Another option, especially for those with dry skin, is the Honey & Orange Facial Polish. This comes in a jar and I like to mix it with a little water so it spreads a little easier. A third option is a mask/exfoliator combination. 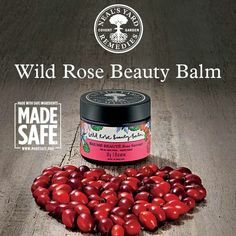 The Wild Rose Beauty Balm can be applied to your skin and left there for a while. Let the yummy oils and essential oils soak in and nourish your skin. And then use the included organic muslin cloth to buff and exfoliate as you are removing the WRBB. Want more uses for this hero product? Read here. The purposes of a mask can be multiple: tone, firm, lift, moisturize. There are two masks that are specifically good for aging skin. The Frankincense Firming Mask comes in a tube and is sort of gel-like. It has frankincense, my favorite hyaluronic acid, and firming marine algae. If you have more dry skin or desire a thicker mask consistency, try the White Tea Enriching Facial Mask. It comes in a jar and is a lovely pillowy consistency. It slides on your skin and feels soooooo nourishing. I love it and I don’t have dry skin. It helps plump the skin and reduce the appearance of fine lines and wrinkles. Have you tried any of these products? My favorites are Frankincense Intense Cream and the White Tea Enriching Facial Mask. Or maybe Wild Rose Beauty Balm and the Frankincense Refining Cleanser. It is so hard to choose! What is your favorite? or Which looks most intriguing? Comment below or bring the conversation to Alicia’s Organic VIPs on Facebook.